The week after the switch to daylight savings time made it so all of our morning drives to work were like this. Since we've been gaining over 6 minutes of daylight a day it all happens slightly too early now. 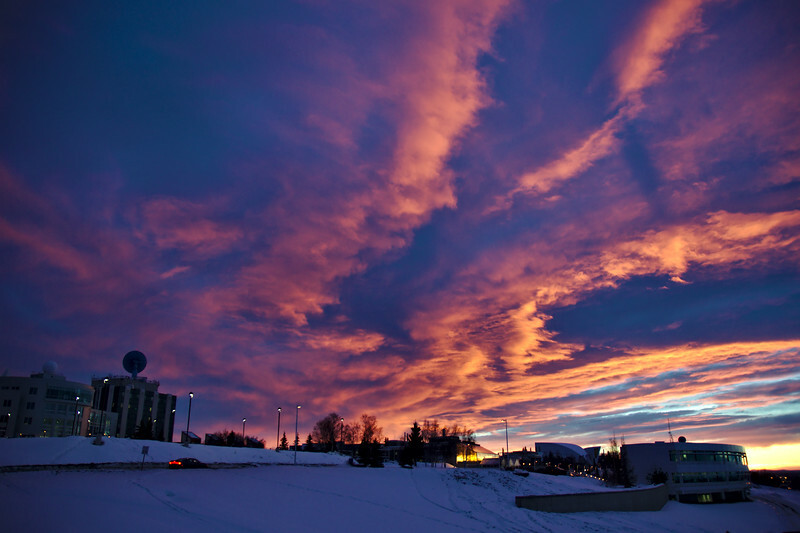 On the far left are the Syun-Ichi Akasofu and Elvey buildings that house the International Arctic Research Center (IARC) and Geophysical Institute (GI), and to the right the Butrovich Building - on the University of Alaska Fairbanks Campus taken during a spectacular sunrise.